Climb up from the darkness and reach the light! Play 5 unique rainbow-themed puzzle games! Climb up from the darkness and reach the light! 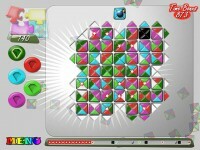 Play 5 unique rainbow-themed puzzle games. Choose the game the fits your mood. Grab, Move, and Rotate the 4-colored Square Tiles and stick them together by matching their colored sides. These mind breaking puzzle games vary from calm and slow to action-packed! Play over 180 colorful and refreshing levels. 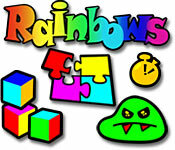 Easy color- matching game play makes Rainbows suitable for all ages. Tell someone about Rainbows Game! faeY9l Great, thanks for sharing this blog post.Really looking forward to read more. Want more.